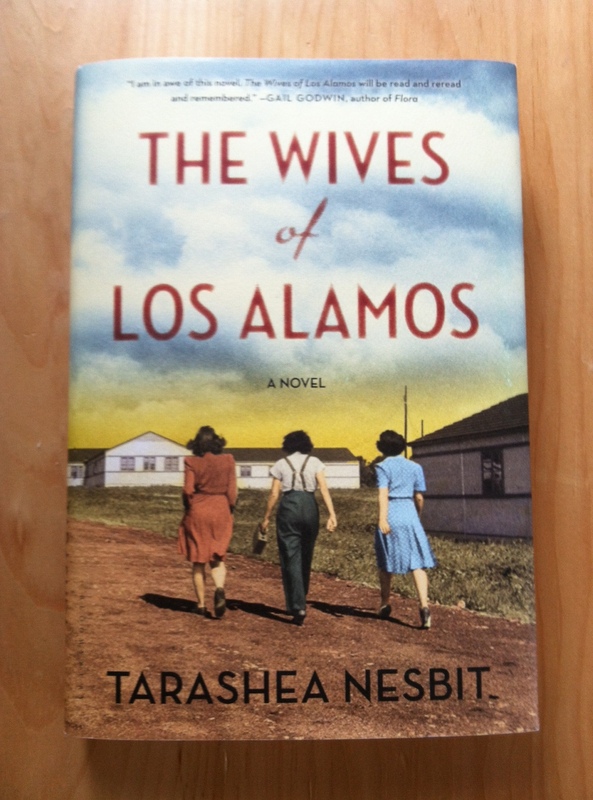 Two weeks ago, I reviewed TaraShea Nesbit’s fascinating first novel, The Wives of Los Alamos. Ms. Nesbit graciously agreed to be interviewed via email. How would you describe the inception of The Wives of Los Alamos? What was the writing process like? TN: About five years ago, I was researching the creation of the atomic bomb after a friend told me about a high school that has atomic bomb imagery as part of their bomber mascot. That town, Richland, Washington, was the location of a nuclear production complex, Hanford that began during WWII, and currently a repository for nuclear waste. Plutonium manufactured at the site was used in the first nuclear bomb, tested at the Trinity site, and in Fat Man, the bomb detonated over Nagasaki. While researching the history of the Hanford Site, I read a memoir by one female scientist. She mentioned that she never understood why one of the male scientists wives did not like her. This piqued my interest in the domestic community life of these secret Manhattan Project towns. Simultaneously, I gave a reading on the work about Hanford, (an excerpt of which you can read at Quarterly West here: http://www.quarterlywest.utah.edu/iss_73/iss_73_nesbit.html) and a friend’s aunt, Jane Viste, came up to me after the reading and inquired more about the scientists’ wives. I think she said, “Their story would make a great novel.” These two things—my atomic history research and the aunt’s questions—came together right before winter break two years ago, and once I decided on the point of view, the writing was an urgent endeavor. A first draft was done in less than a year and I revised for another year. The Wives of Los Alamos is written from the relatively unusual first person plural perspective. What led you to make that choice? TN: When listening to the women’s oral histories and reading their memoirs, I observed that the women often took on the “we” voice themselves. If asked what Los Alamos was like for them, they replied with things like, “We all hated the stove,” where the “we” was the other wives. This suggested to me that their primary identity during that time was of a group member, and their secondary identity was that of an individual. In thinking about why I was using this point of view, I read Brian Richardson’s book Unnatural Voices, and his intellectual work added to my thinking. I see the point of view as a way of exploring how our community identities often push against our individual identities. 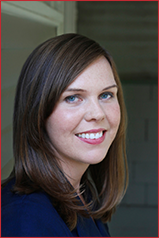 How did you go about conducting research for the novel? Did you visit archives? The site itself? Were you able to interview any of the women who lived and worked at Los Alamos? TN: I first read memoirs and collected stories edited by the women who lived in also Alamos during WWII, many of which were published by the Los Alamos Historical Society. I visited Los Alamos a few times and met with the archivist there, too. Los Alamos still retains a lot of its great history, both geographically and through the preservation of Fuller Lodge and Bathtub Row. One can walk around the town and easily imagine what it was like in the 40s. Which writers do you read while writing? Do your reading choices change depending on the writing project at hand? TN: I’m often doing two kinds of reading when I’m writing. I read books related to the topic, and when doing that I’m looking for details and facts. But I also read novels and poetry collections and nonfiction books that I’m hoping to be educated by about story construction. While writing The Wives of Los Alamos I looked back at work by Joan Silber, Leo Tolstoy, Evan S. Connell and George Eliot, among others. You’ve studied at The Ohio State University (Go Buckeyes!) and Washington University in St. Louis. Which professors and writing courses stand out to you as particularly influential in terms of your growth as a writer? TN: I began this book in my first year of the Ph.D. at the University of Denver, and specifically, in a fiction class led by Laird Hunt. I did not think of myself as a fiction writer then, but Laird’s reading list and approaches defied my previous conceptions of what a novel could be. We read Open City by Teju Cole, Aliss at the Fire by Jon Fosse, Who Was Changed and Who Was Dead by Barbara Comyns, and Europeana: A Brief History of the Twentieth Century by Patrik Ouředník. But I’ve been fortunate to have so many great teachers: Brian Kitely, Selah Saterstrom, Eleni Sikelianos, Kathy Fagan, Andrew Hudgins, and Mary Jo Bang. What kinds of writing projects are you planning next? TN: I’m working on a fiction project set in the 17th century from the perspective of lesser-heard voices, which is also exploring a major narrative of America’s history. My thanks again to Ms. Nesbit for her time and generous answers. You can learn more about The Wives of Los Alamos and TaraShea Nesbit on her website, tarasheanesbit.com. I’m looking forward to reading The Wives of Los Alamos. Her future project sounds great too! Great interview, Carolyn.